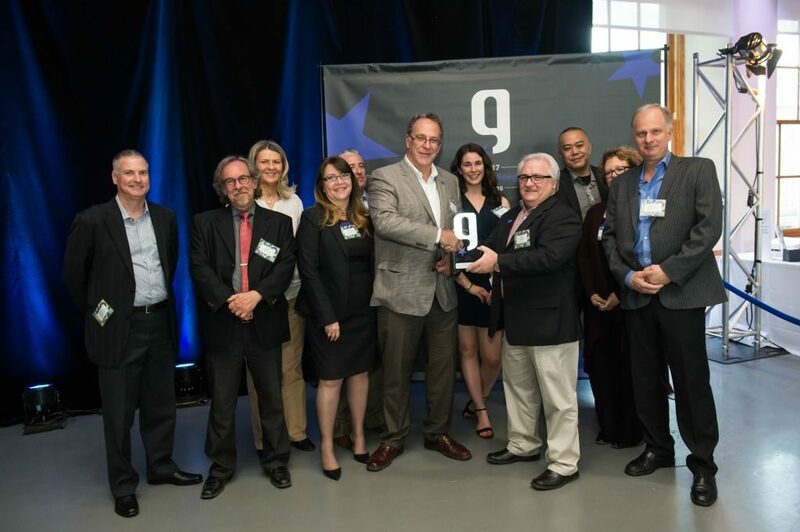 On June 1st, PNH Solutions celebrated the best accomplishments within the printing industry within the past year in Quebec at the 35th Edition of the Gutenberg Awards. 350 print service providers, equipment suppliers and partners from different sectors within the industry all gathered at the Marché Bonsecours, in the Old Port of Montreal. Other than being selected as a finalist for the Innovation and Technical Award, within the ‘Display’ category, for its Double Pavilion and its ParticipACTION Space, PNH Solutions brought home the Innovation Award, within the ‘Marketing (Self Promotion)’ category, for its reusable tote bags. Made of either fabric or vinyl waste materials, PNH Solutions personalizes each bag according to its client’s artwork and includes its own logo, along with a description of its engagement towards sustainable development. While they act as personalized marketing tools, these reusable bags also have another important role. “They optimize PNH Solutions’ materials and help diminish its waste,” said Daniel Bouchard, Director of Production and Prepress. “The initiative is also in line with other efforts we are making to improve our waste management,” he added. Other than incorporating green alternatives to its product line-up, like water-based inks and its Eco Verde environmentally sustainable print medias, PNH Solutions is also working towards an ISO:14001:2015 Certification. As an environmental management system, it helps companies, like PNH Solutions, enhance their environmental performance and achieve their objectives, by respecting specific obligations.